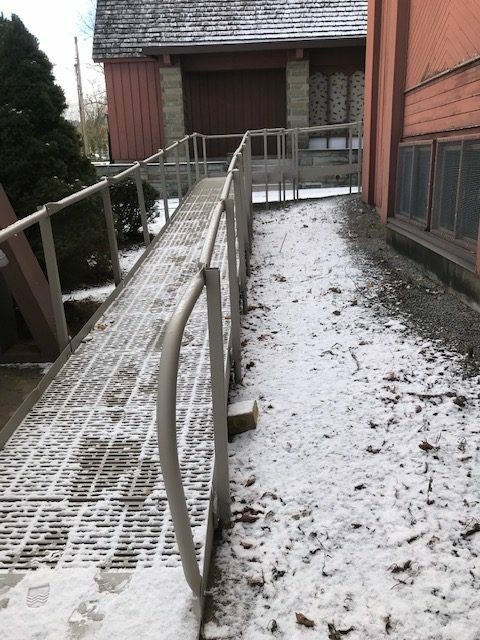 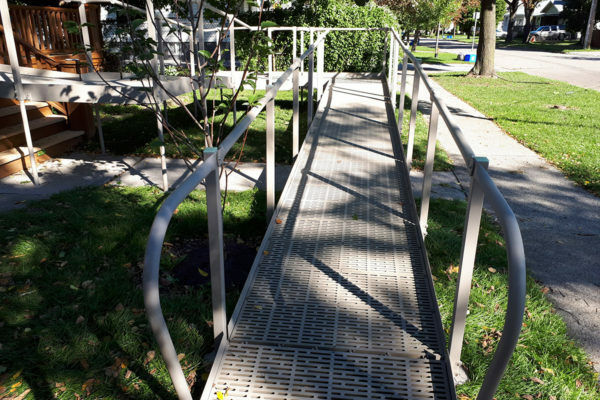 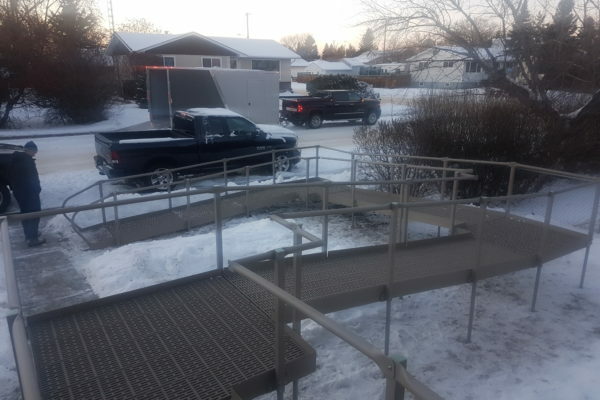 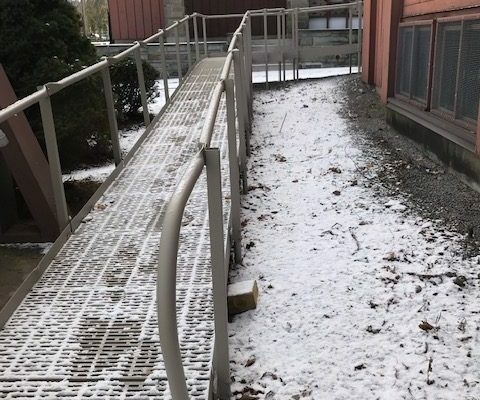 The greatest concern of those who use an access ramp is, “is it safe”? 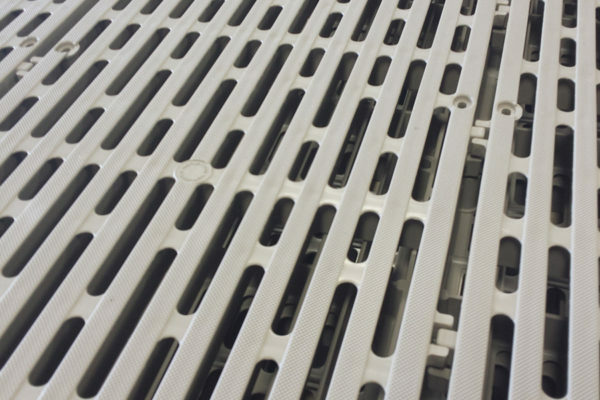 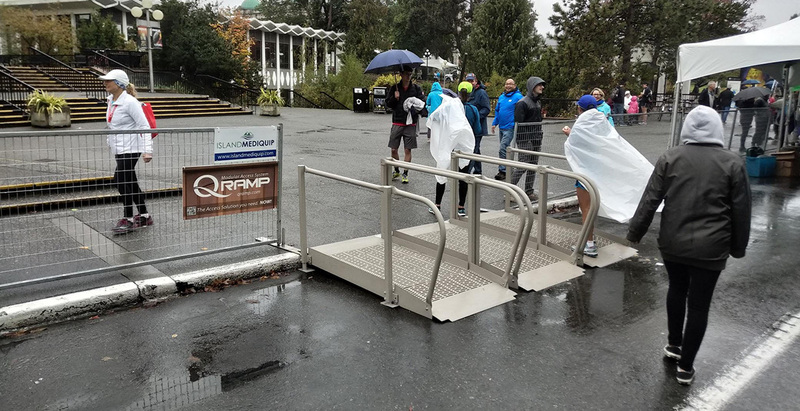 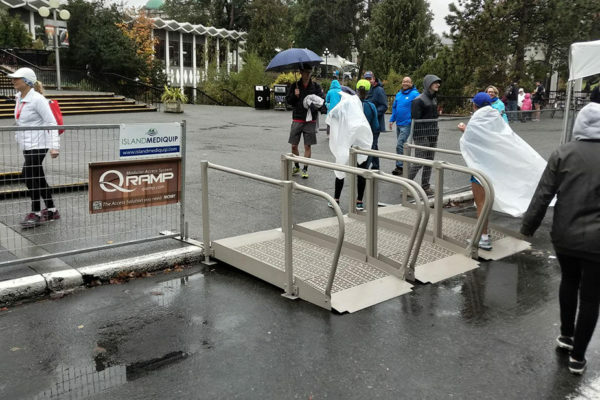 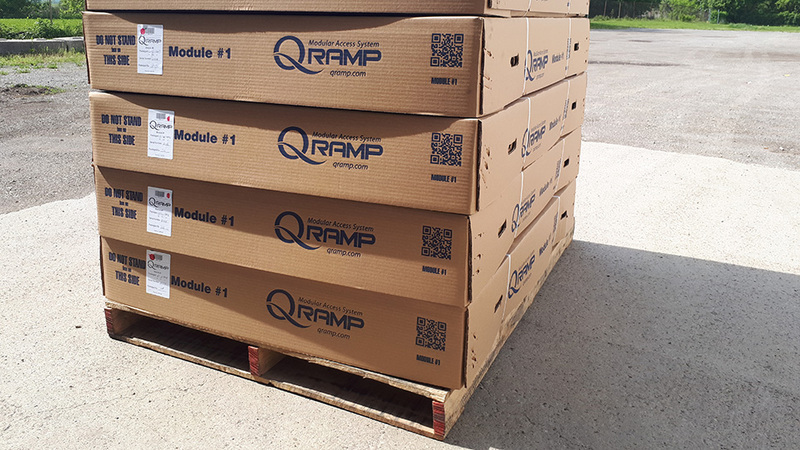 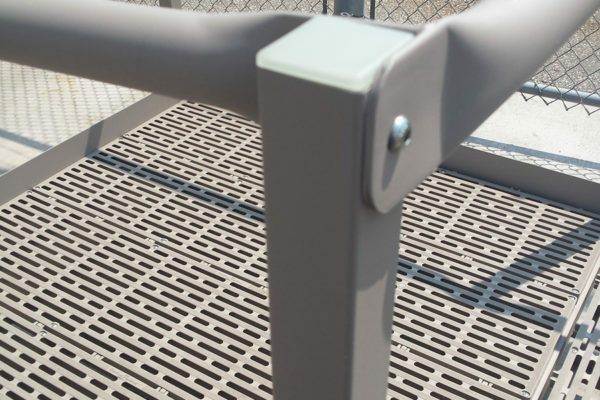 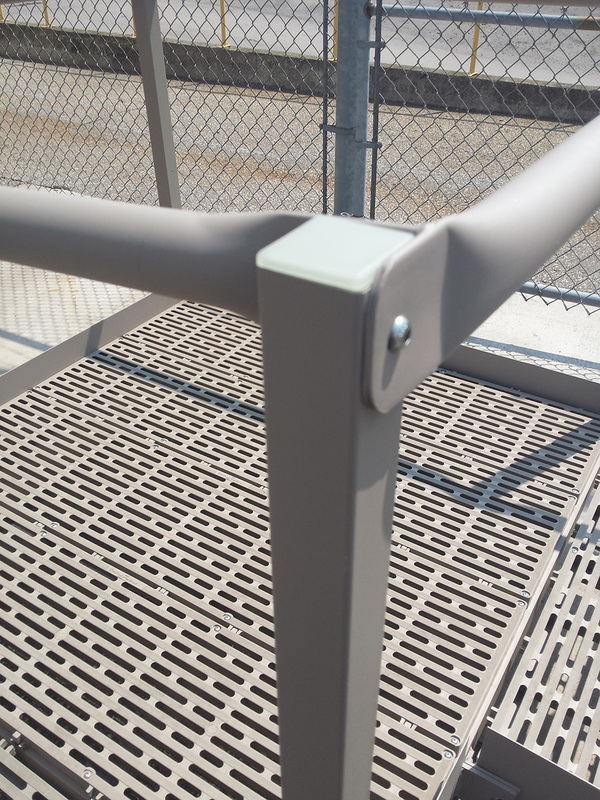 With our unique, 360-degree non-slip surface that is quiet in use and does not deflect under heavy weight, our customers find satisfaction in QRamp. 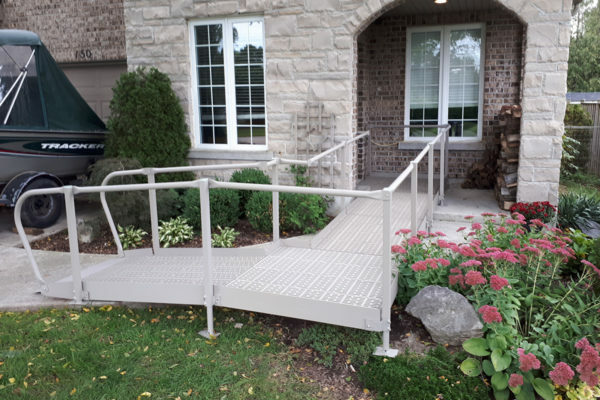 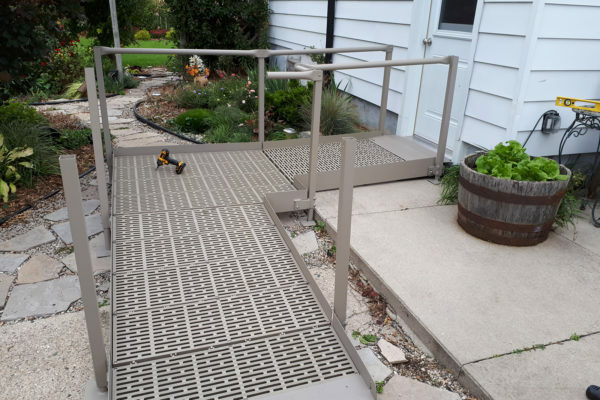 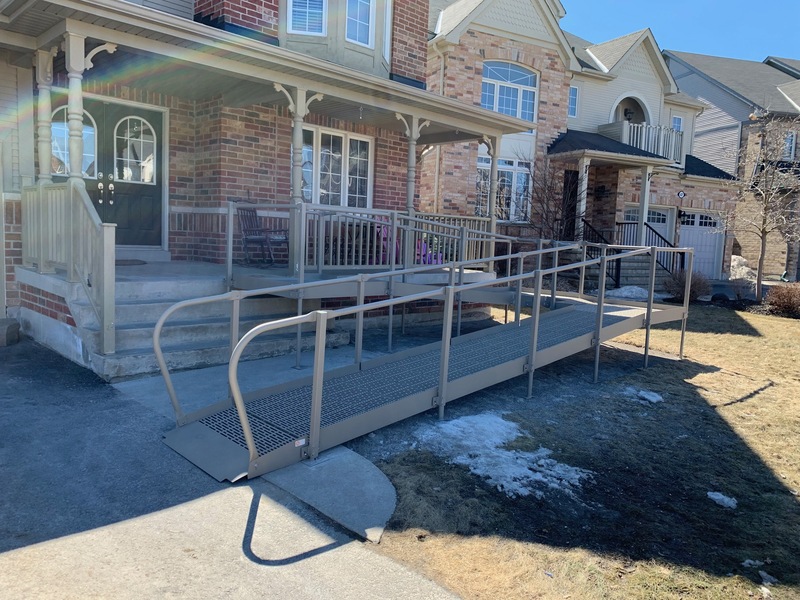 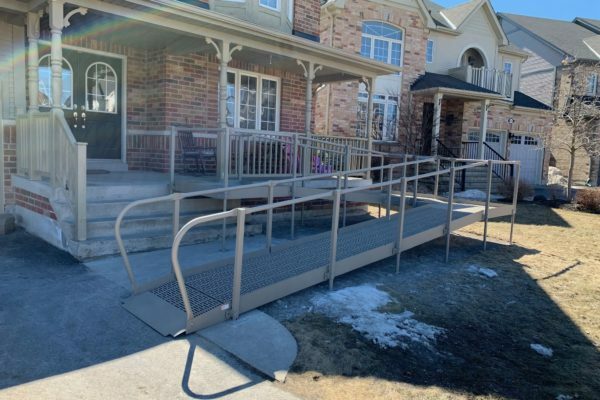 Our ramps are not only safe but are also visually pleasing, simple to install and can be on your doorstep within days of your purchase. 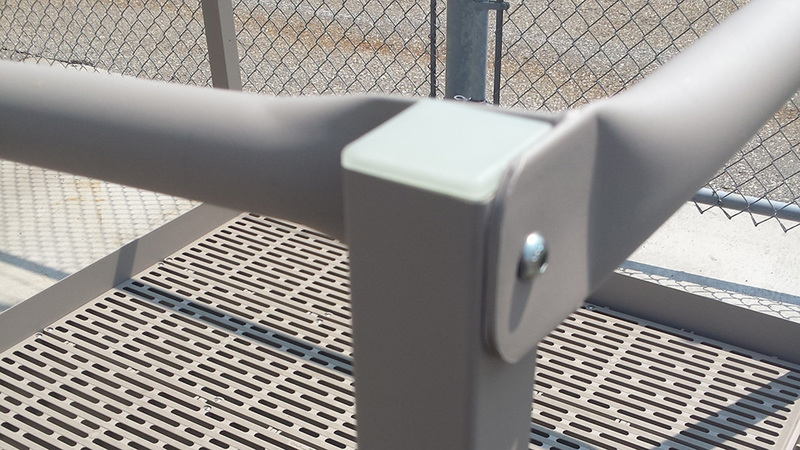 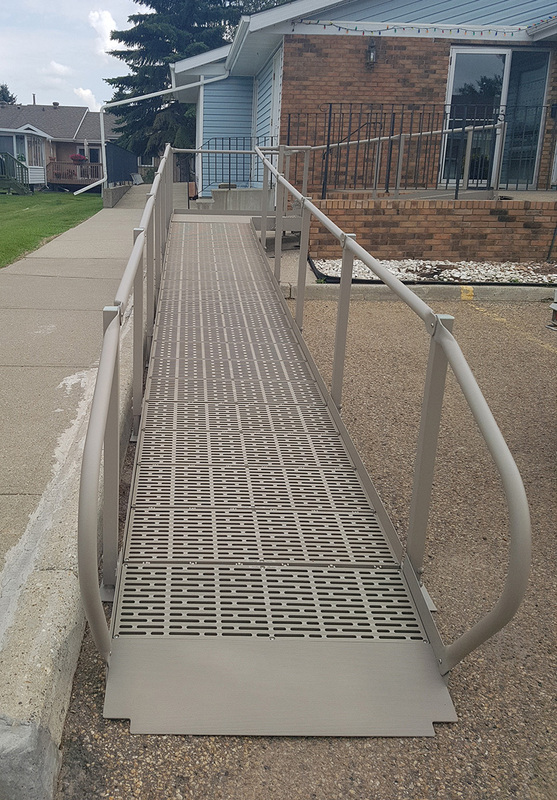 Constructed of high strength, powder coated aluminum they are lightweight and can be installed by anyone who is able to use a wrench. 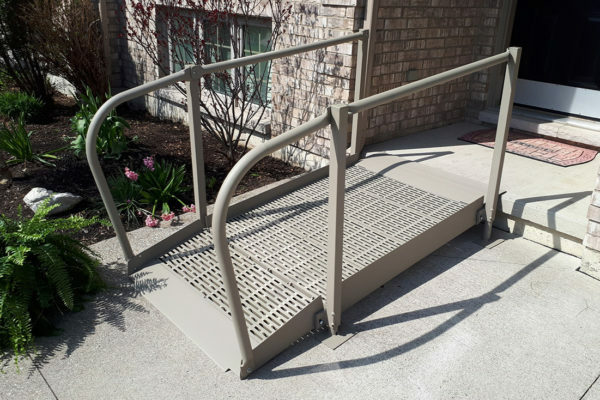 Add a second person to your installation and you can have a solid good-looking ramp ready to use in a few hours. 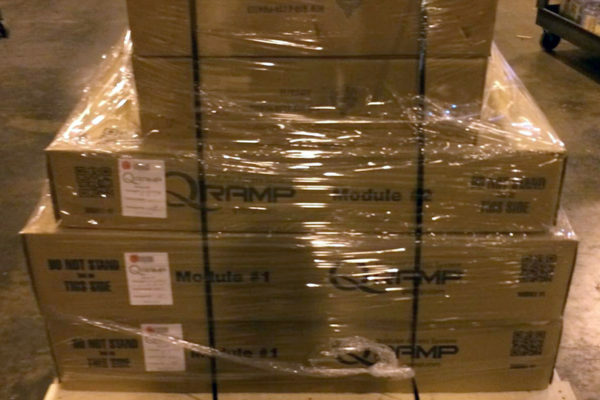 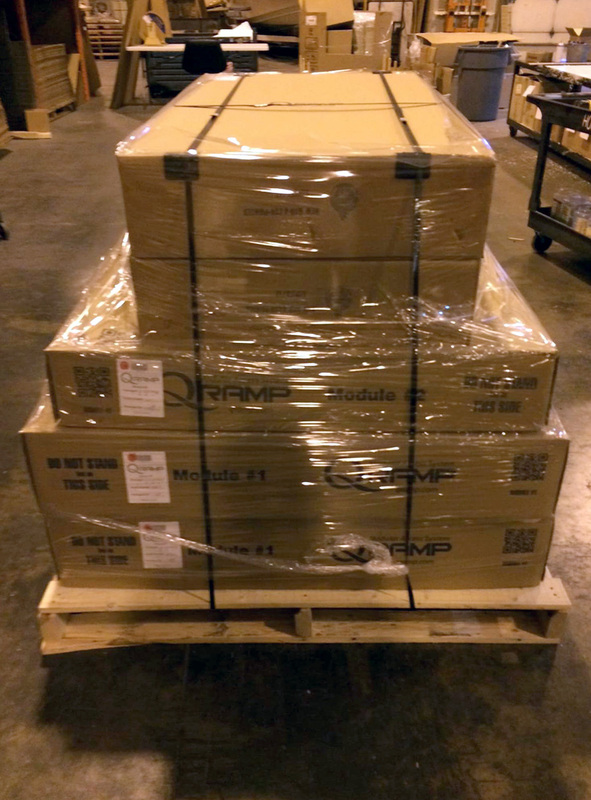 Our ramps are so modular that we sometimes see them for sale second hand. If your circumstances change so can QRamp which makes QRamp hold its value for years to come. 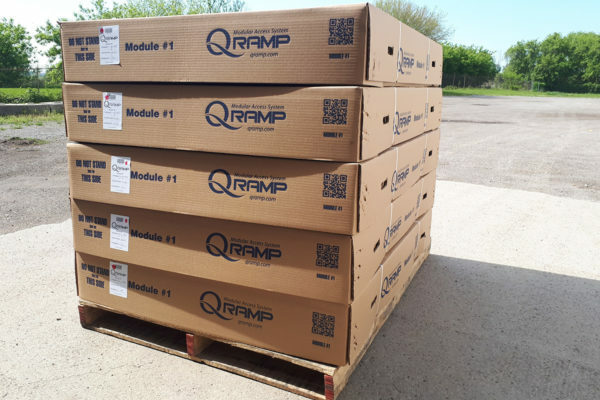 With no need for building permits, contractors and complicated blueprints your biggest question should be why not QRamp? 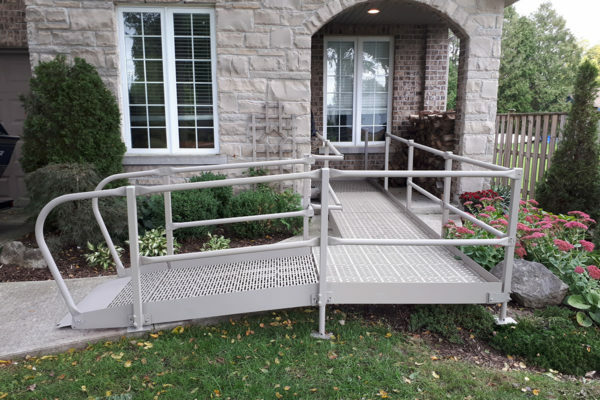 Our mission is Access NOW! 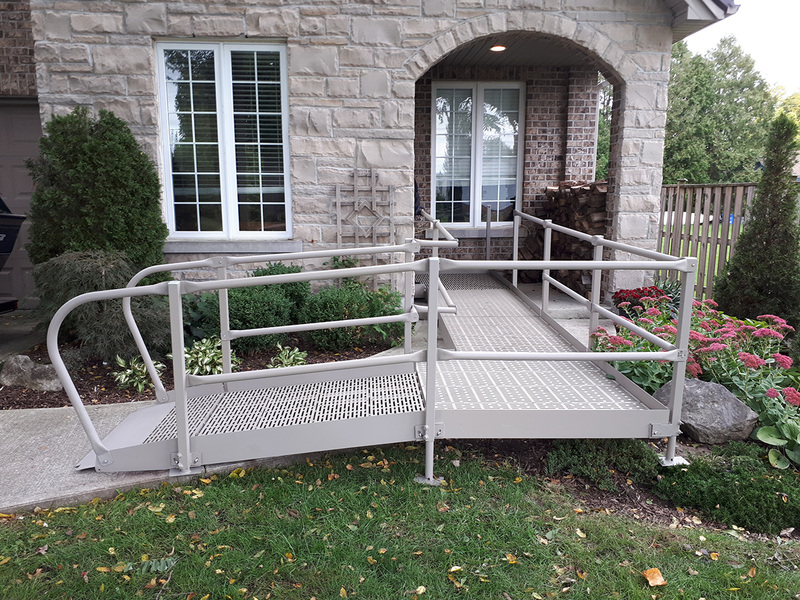 We want to ensure prompt service so that every individual has unlimited access and freedom under any circumstances. Continuously Improve – the quality of life for those who have mobility issues. 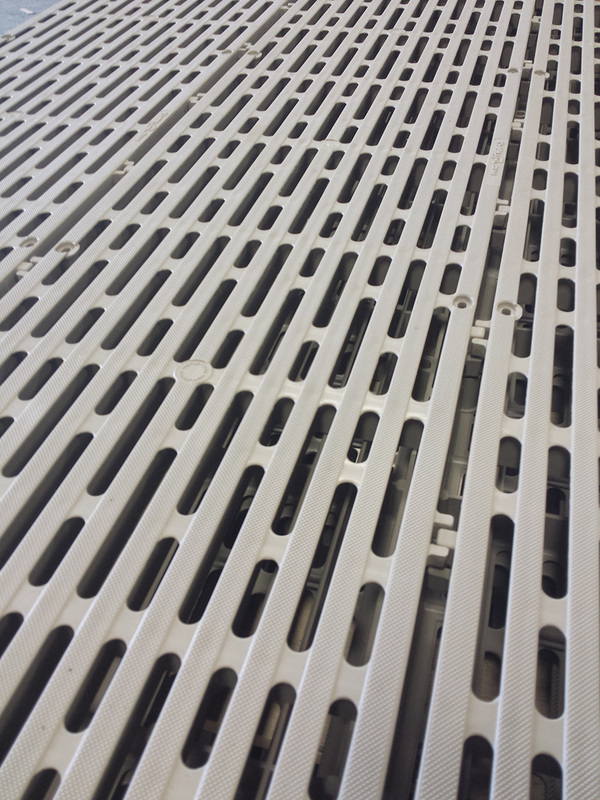 Exceed Expectations – to continue to have passion and dedication towards everything that we do. 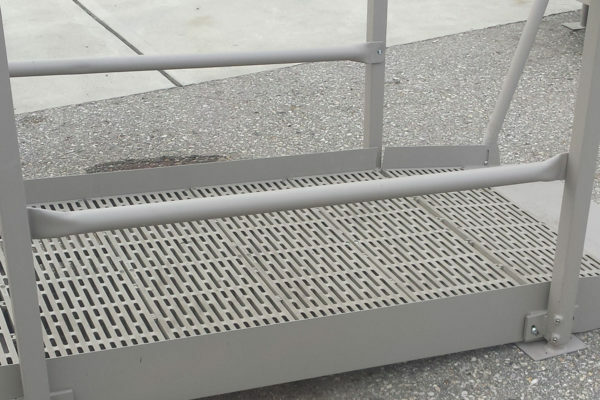 Be Agile – to do whatever it takes to get the job done. 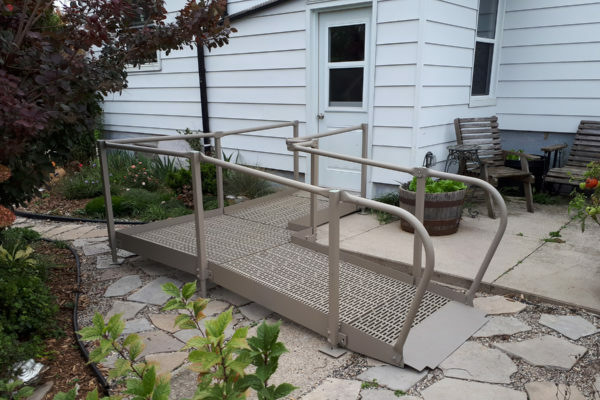 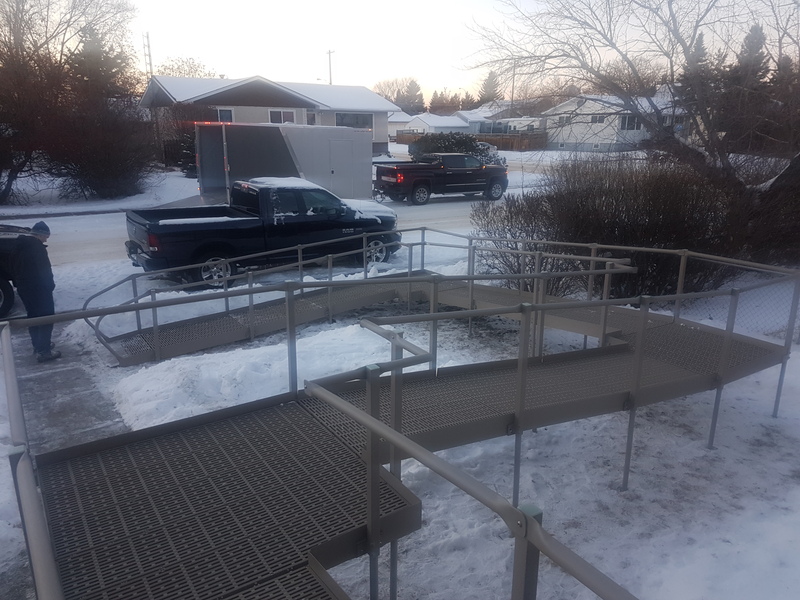 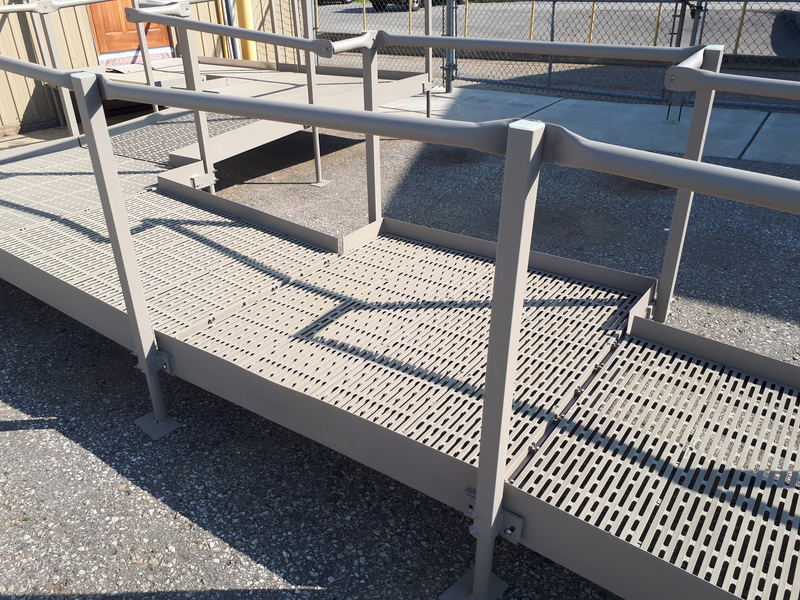 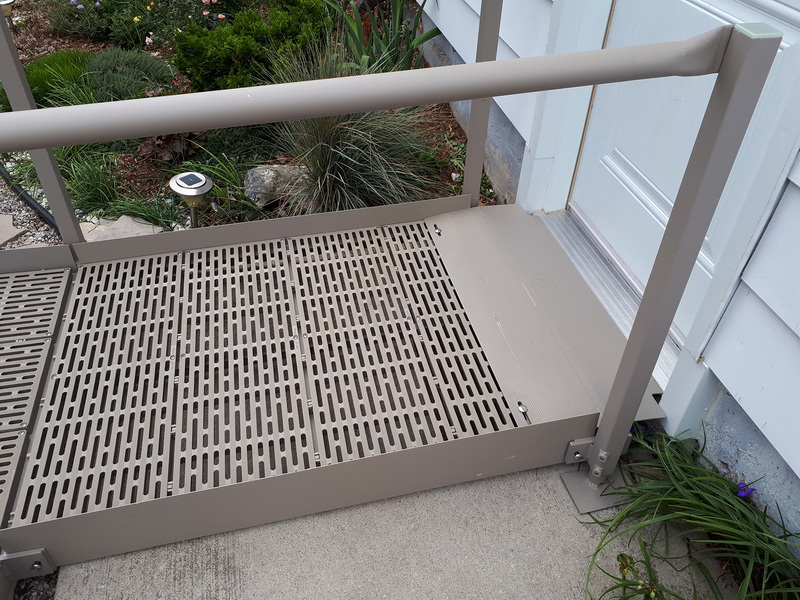 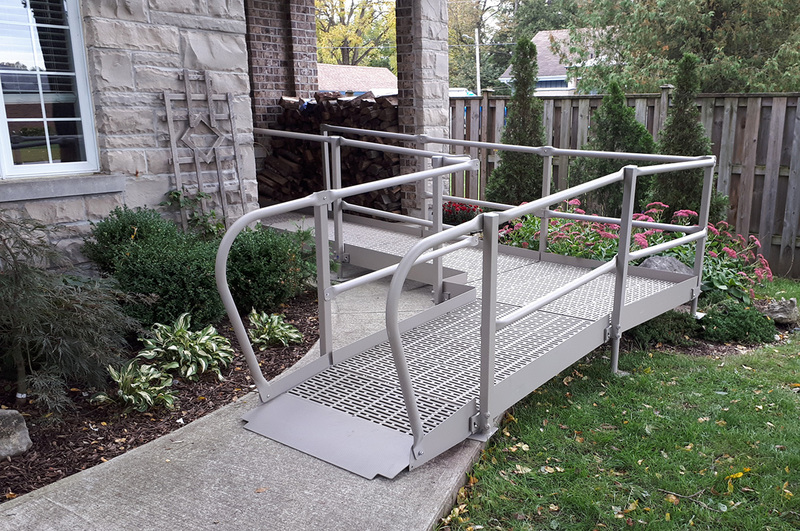 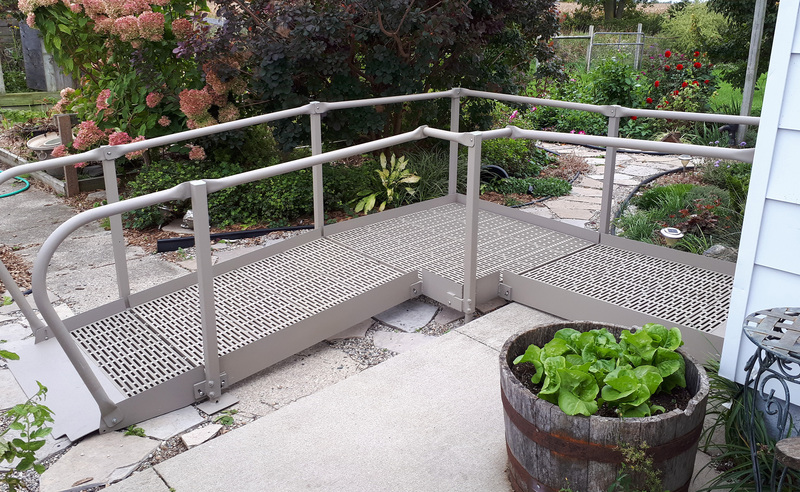 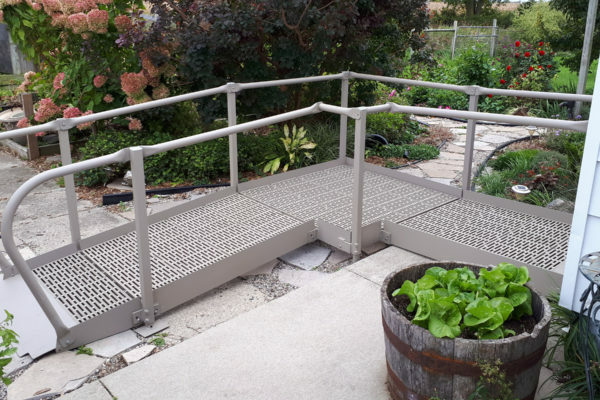 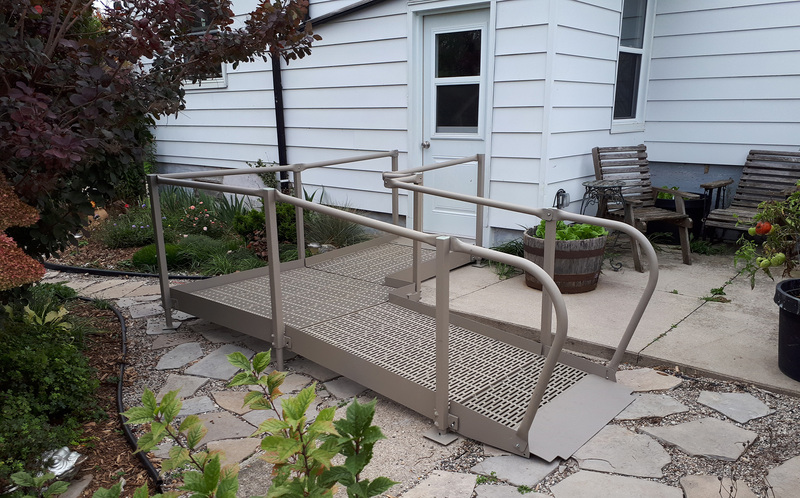 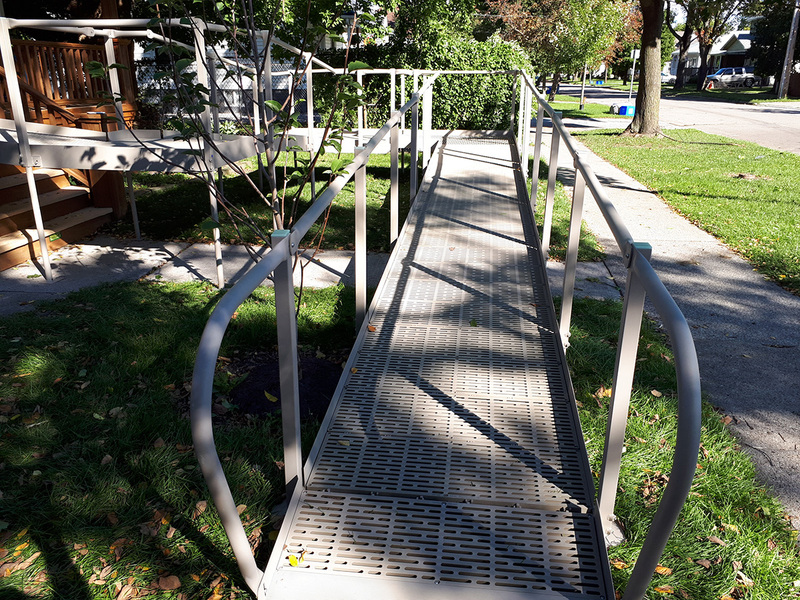 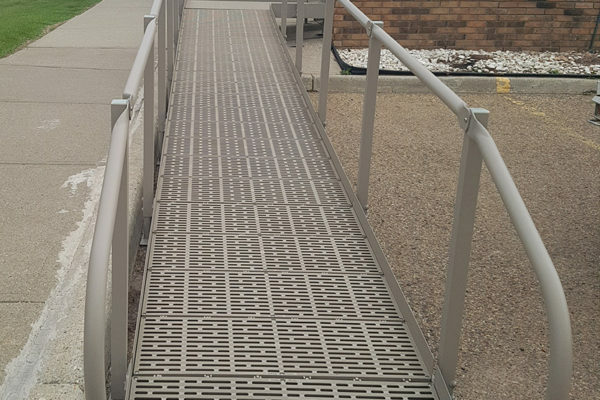 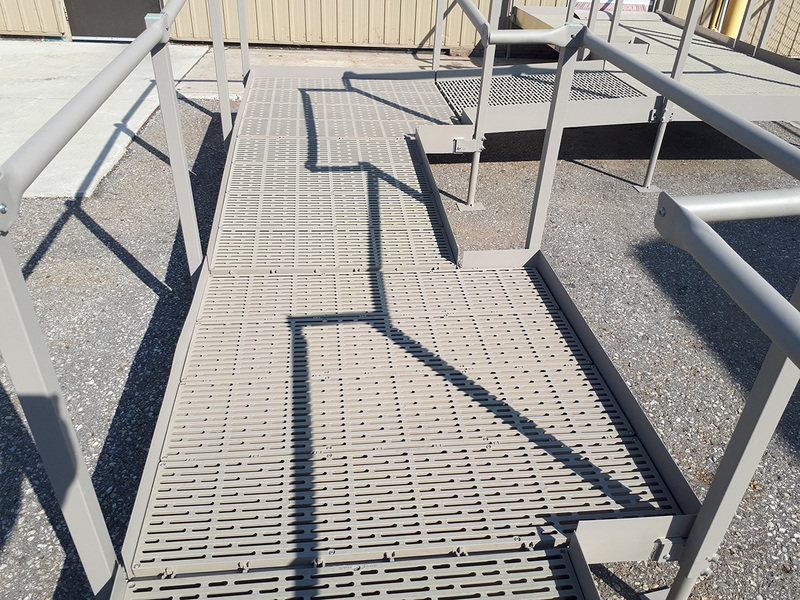 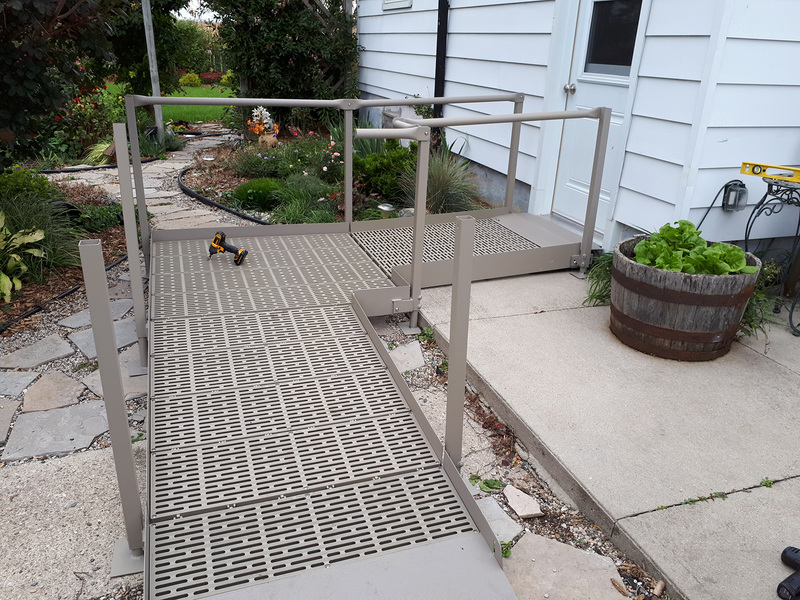 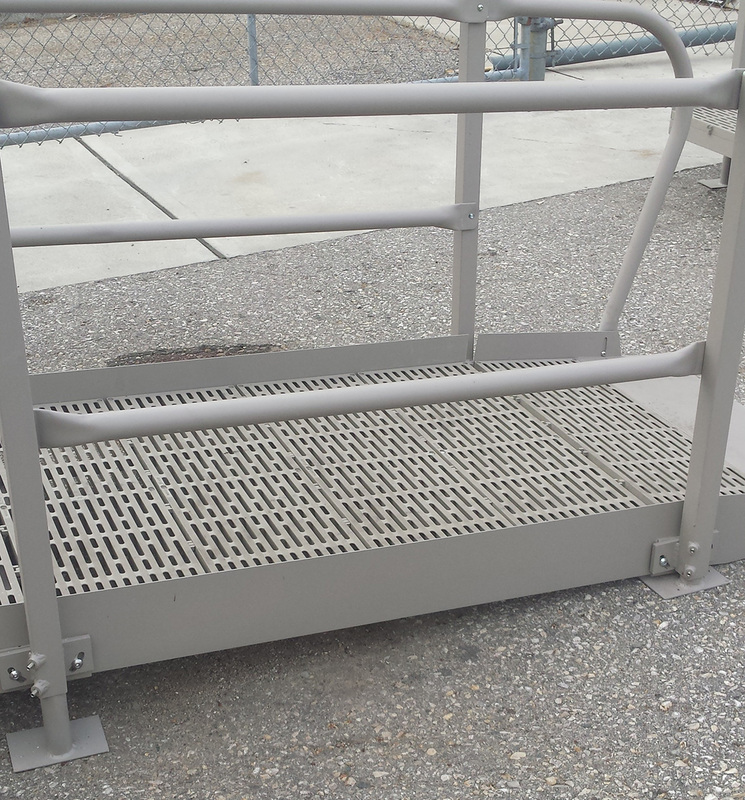 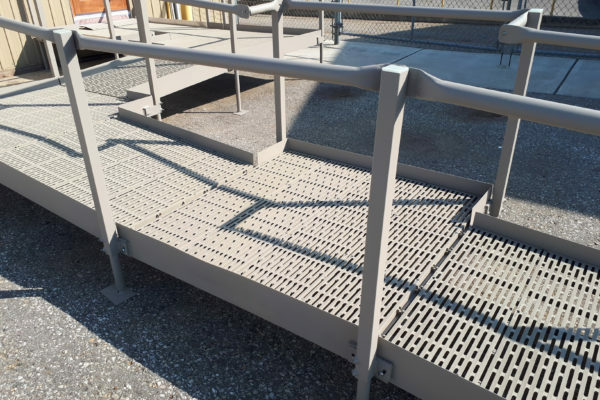 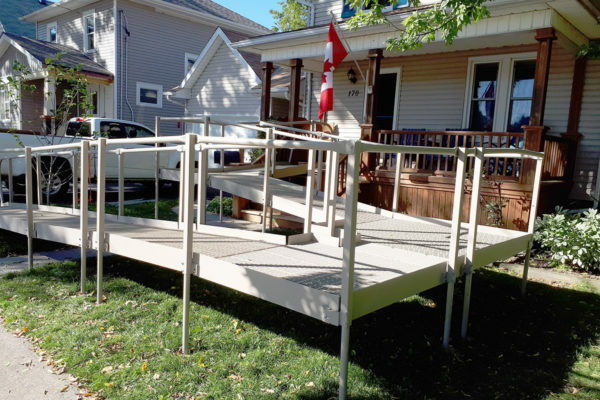 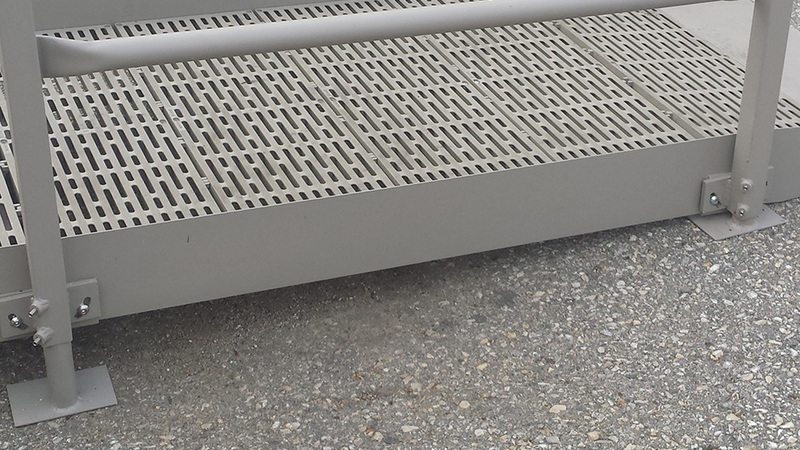 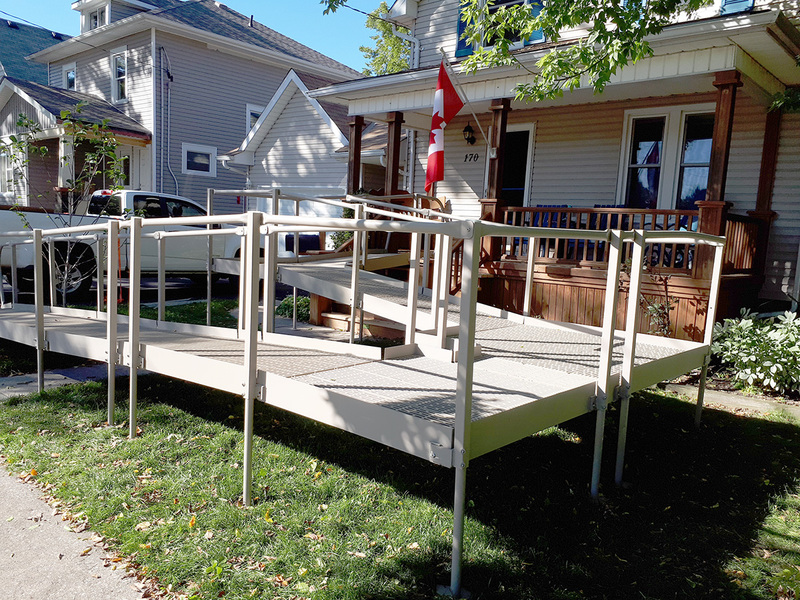 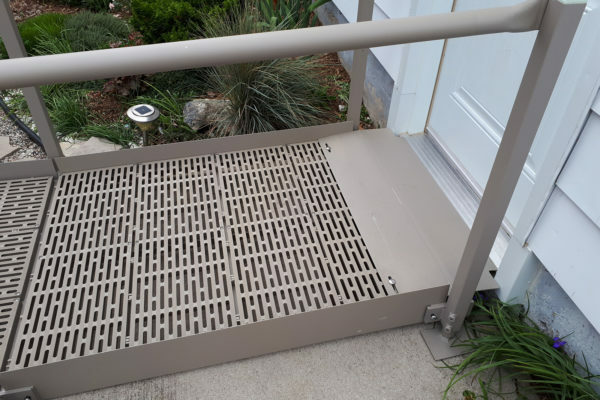 Introducing our new model of access ramp! 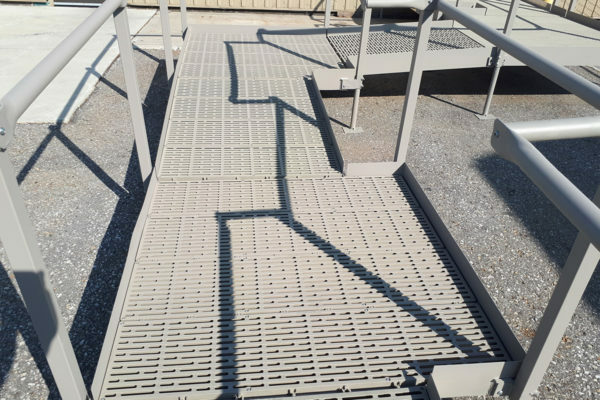 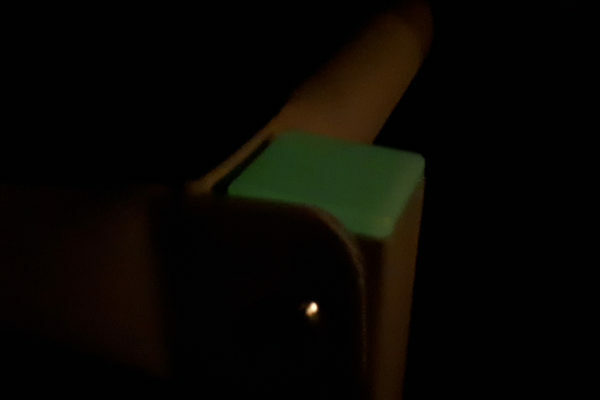 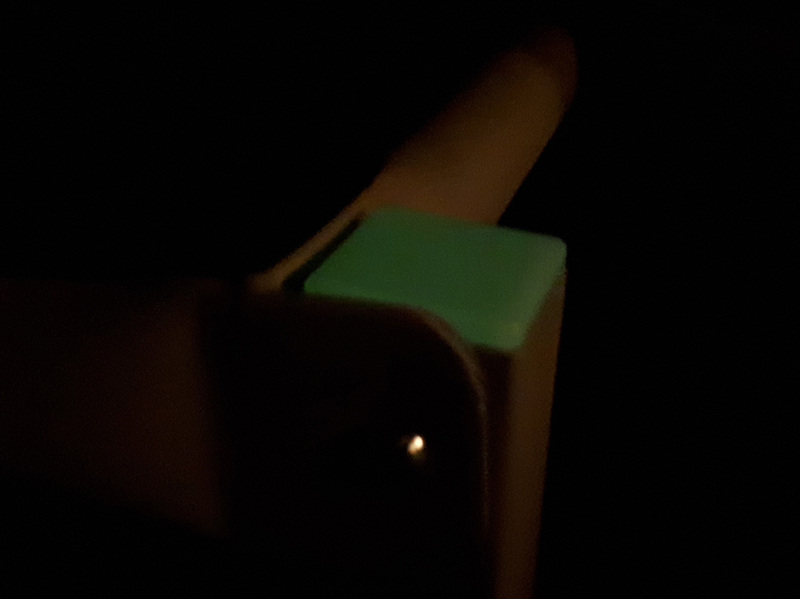 With the same safety features such as glow in the dark post caps and exclusive, 360 degree non slip, decking surface. 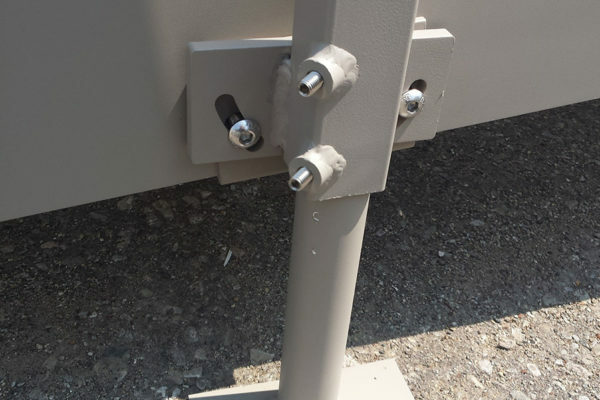 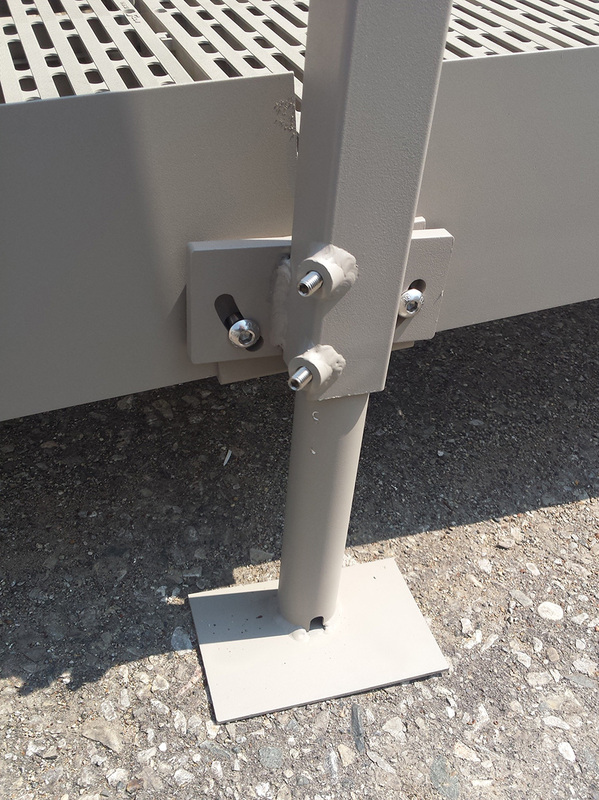 Even easier installation with telescopic, locking set screw legs. 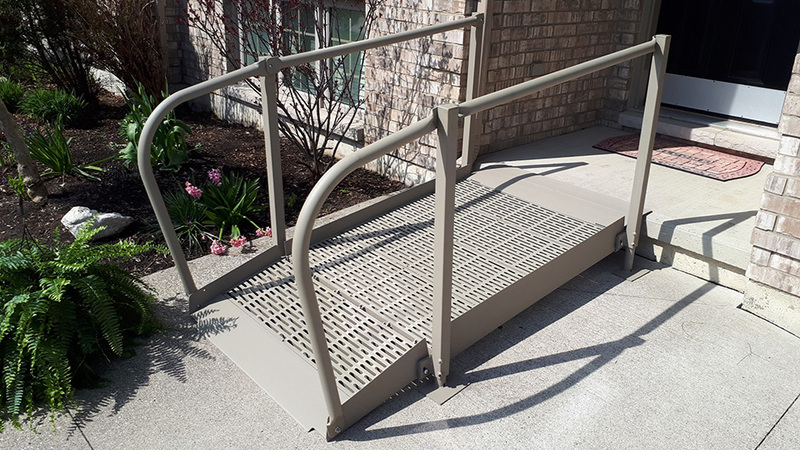 The new 500 design gives you a quality ramp at a more affordable price.